Over the past nine months, I have been working closely with Damian Percy from Bendigo Adelaide Bank and a small group of professionals to create a networking group for C-Level business leaders. We identified a gap in Adelaide's networking scene for an event that provides plenty of quality networking time and enables attendees to build strong connections. As a result, SA Business Builders was born, which focuses on providing a ‘safe space’ where leaders can talk about their businesses and investigate opportunities for doing business together to help build the South Australian economy. 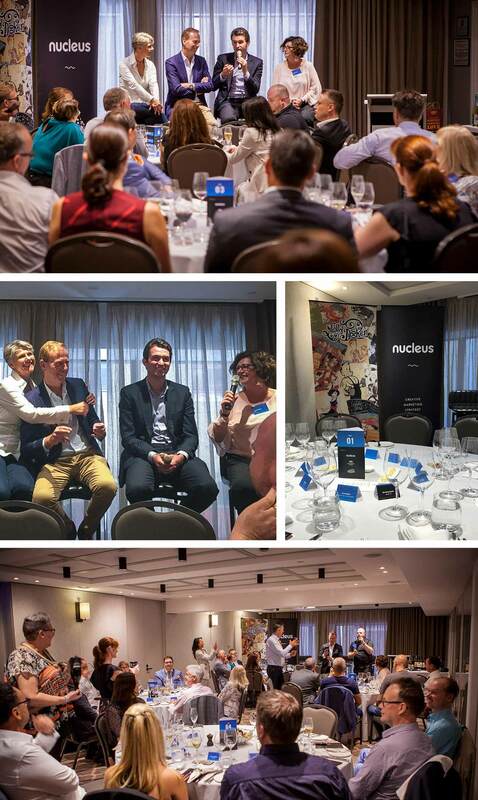 In February this year, Nucleus hosted the first major SA Business Builders event, “the 2018 State Election Breakdown Luncheon” at the Mayfair Hotel. With 40 influential business leaders in attendance, McCo Group Managing Director Leigh McClusky facilitated a cracking panel of journalists, including Mike Smithson, Daniel Wills and Lainie Anderson, who provided unique and honest insights into the current state of play between the major SA parties. What became obvious throughout the course of the panel session was that the SA Best Party has been a major disruptor in this election cycle, but it’s still anyone's guess as to who will come out on top. Three weeks can be a very long time in the lead up to an election, so we should have a very interesting few weeks ahead. Feedback from the event has been overwhelmingly positive, with most of the attendees staying on for the afternoon to continue networking at the Mayfair Hennessy Bar. One of the business leaders in attendance said “it was great to be part of a group who were all of the same level, where you could feel free to be yourself and ask other people for their opinion on any subject because they understood what it was like to be you”. They said it is often lonely at the top, so being part of a group like this is valuable. SA Business Builders meet for drinks at the Mayfair Hotel Hennessy Bar every Monday night between 5pm and 8pm. If you are a C-level business leader with an interest in getting involved, contact Brenton Gowland and l'll talk you through the details.